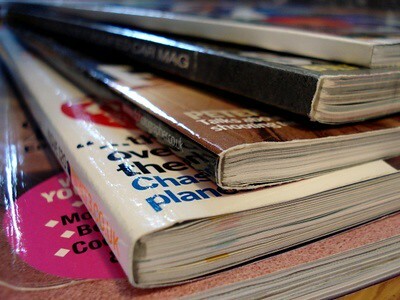 Magazine Blames Authors for “Copying” Problem – Girl Gamer, Esq. A few weeks ago I posted about a magazine that had republished an article without notice or permission from the author, and when contacted by the author, attempted to claim that once literature was on the internet, it became fair game for anyone to republish. A few days ago the same magazine posted another “apology” basically stating that the hoopla had killed their publication, and that it was the fault of under staffing. Sort of. Rather, it was because the editor didn’t have enough staff to check that all submissions to the magazine were authorized by the original author, and that if they had only taken the time to republish something from one of the “many books sent to us in the mail” instead of finding something online, then no one would have cared. Again, the publisher suffered from the misconception that information being on the internet is fair game for anyone to use or take. As stated at the workshop last week, being in the “public domain” does not mean something has been published and made available for public consumption, but that the work in question is no longer covered by copyright law, according to some strict requirements. If the author has not affirmatively dedicated his work to the public, then the work must have been created long enough ago that the copyright protection has expired, which generally requires the work to have been created and published before 1923. Even if the published work had been found on the internet, a simple clearance check would have discovered whether the article had been previously published, or whether the author or publisher had a simple procedure in place for obtaining reprint permission. Copyright law is one of the many places where the old adage “it is easier to obtain forgiveness than permission” is usually not true. And now, of course, the website is dead, and only the commentary remains. However, as bad businesses change their name and carry on their poor business practices, the above clearly shows that the editor learned nothing from this experience, and will probably still take content from everywhere and fail to obtain the proper releases. Was the failure of this magazine the proper result? I would say yes, except that I wish the people behind it had learned a bit more about copyright law from the debacle.